Chandigarh 31st July:- Prof K S Chugh, a world renowned nephrologist and popularly known as Father of Nephrology in India, Former Head of Department of Nephrology and currently Emeritus Professor of Nephrology, Postgraduate Institute of Medical Education and Research, Chandigarh has been awarded Bhishma Pitamah Award at the Inaugural Function of the 5th Congress of Association of Vascular Access and interventional Renal Physicians (AVATAR) held at Delhi. This Association aims at training, education and scientific research in various interventional procedures including AV fistula, insertion of CAPD catheters for continuous ambulatory peritoneal dialysis, renal biopsies and other critical care procedures required by renal disease patients. Such expertise is available only in tertiary care centers. The award has been given for the outstanding contribution made by him in the field of interventional nephrology during the last six decades. Dr K S Chugh is a recipient of several other national and international awards including Padmashree by the Govt. of India. 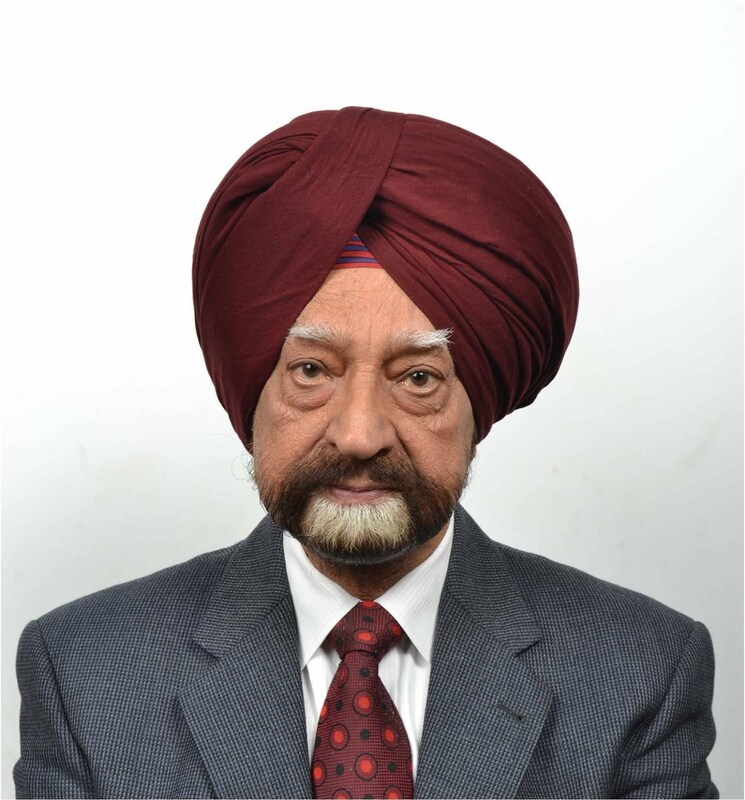 The International Society of Nephrology has acknowledged the pioneering work and outstanding contributions of Dr K S Chugh and has included him amongst 50 legends in Nephrology on whom video films have been made for inclusion in World Nephrology Legacy Library. Chandigarh 31st July:- Mohinder Singh Ji, Sanyojak, Chandigarh Branch said at the Sant Nirankari Satsang Bhawan, Sector 30 that the Sant Nirankari Mission organized today a special Mahila Samagam at Delhi to encourage its women devotees, particularly the youth, to better understand the Mission's philosophy and to take it forward in the new situation created by sudden demise of Nirankari Baba Hardev Singh Ji Maharaj. Further he said that the Samagam was attended by thousands of women devotees of the Mission from all the 29 Sectors of Delhi. A leading missionary and a member of the holy family (Guru Parivar), Rev Raj Kumari (Raj Mami) Ji presided. Various Members of the Central Planning and Advisory Board, Executive Committee of the Mandal and a large number of other Mahapurushas were also present to encourage the participants. In order to keep the theme of the Samagam in focus, the organizers had given certain topics to speakers, poets and Geetkars to highlight in their own different ways. They included: Satguru as a physical manifestation of the Formless One - God; Baba Hardev Singh Ji Maharaj as a crusader for Humanness; Love and faith make devotion perfect; and Company of saints as a source to transform one's thoughts. The Samagam came as a climax of a series of Sector-level Samagams on July 9 and Zonal-level Samagams on July 16 and 23, 2016 across the country. Addressing the Samagam, Rev Raj Kumari (Raj Mami Ji) said that when we look around, we find the world burning with hatred, jealousy and violence. The only way to find peace and prosperity is to attain God-knowledge which is the source of divine virtues like love, compassion, tolerance and cooperation. God-knowledge, Rev Mami Ji said, can be attained only with the grace of Satguru. In fact, Satguru is the direct manifestation of the Formless One-God, in human form. If we obey Satguru, we obey God. Satguru Mata Savinder Hardev Ji Maharaj today enjoins upon us to do Satsang, Sewa and Sumiran which keep us linked with God and also promotes the feelings of love, respect and unity. Referring to Baba Hardev Singh Ji Maharaj, the Former Head of the Mission, Rev Mami Ji said that as stated by Her Holiness Mata Ji we can pay our best tribute to him by following his teachings and taking the Mission to the heights of his dreams. For this, we all have to work shoulder to shoulder, shedding any difference of opinion wherever it may exist. Rev Mami Ji advised women devotees to pay special attention to the children and bring them to Satsang where they will learn to love each other and respect elders. She said that a house-wife can turn the house into a heaven when she keeps all the members of the family united. She also called upon them to find time for Satsang regularly and do Sewa wherever they get an opportunity. She also advised them to adopt the spirit of humility and sweet language. Earlier, Holy Sister Bindiya Chhabra Ji said that devotion is never identified with status, position or power. It is complete submission of the devotee before Satguru. He or she must obey the word of Satguru in letter and spirit without any argument. Let all devotees march forward with the spirit of love and cooperation, work shoulder to shoulder and take the Mission forward. The Samagam was marked by speeches, songs and skits to highlight various aspects of the ideology of the Mission. A Quiz Programme also remained a highlight that showed the interest the devotees; particularly the youth among women are taking in the history and philosophy of this great Mission.